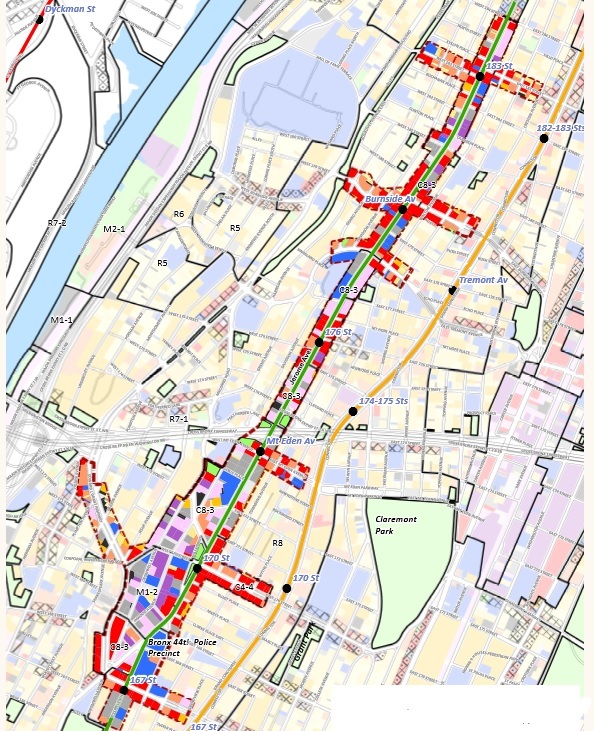 The Department of City Planning’s proposed rezoning of the Jerome Avenue corridor was approved by the City Council by a vote of 48-0 on March 22, 2018. Scene at a Department of City Planning community engagement session in the Jerome Avenue area. Jerome Avenue at Mount Eden Avenue. Carmen Vega-Rivera, a tenant leader with Community Action for Safe Apartments, and Wayne Moten, a trade-union member and local resident, address an early August meeting about the pending Jerome rezoning. The de Blasio administration is studying the area along Jerome Avenue from 167th Street to 184th for a rezoning. The Mount Eden station on the 4 line, which runs up Jerome Avenue. Residents of the area around the targeted Jerome Avenue corridor gathered for a show of strength this week. 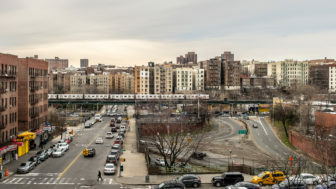 The city promises a 'holistic' approach to rezoning a corridor along Jerome Avenue. 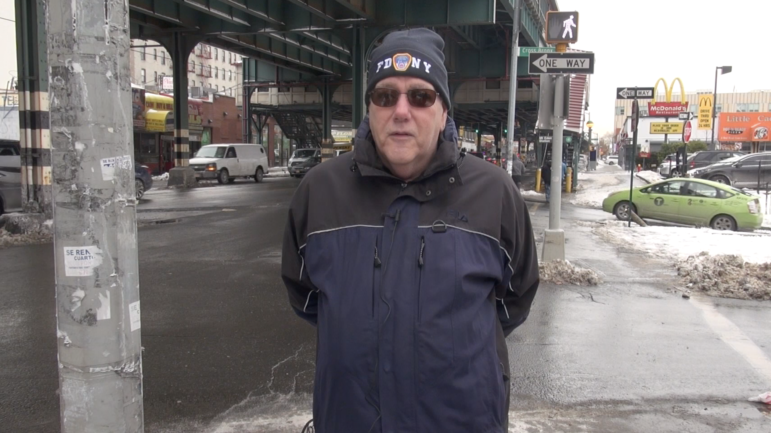 One Year After the Rezoning, Has Jerome Avenue Changed? 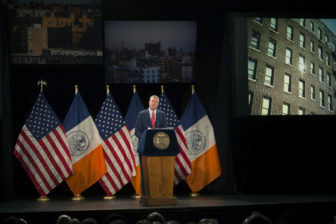 The de Blasio administration says it has started to deliver on promises of housing help, street improvements and business assistance. 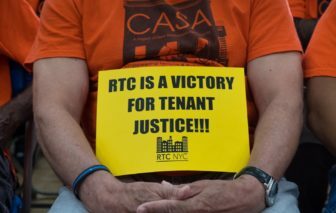 Tenant groups and business advocates, however, say their worries remain. The Partners in Preservation program, first mentioned in the update to the mayor’s housing plan issued in November, expects to seek nonprofit bidders by year’s end. 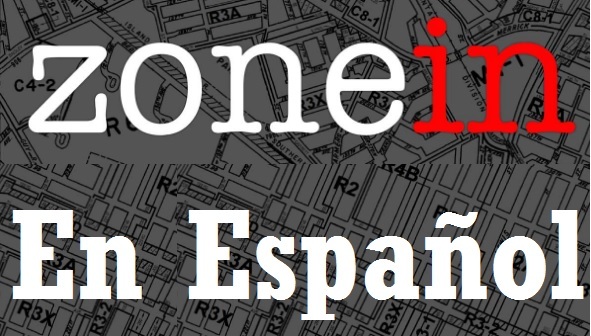 * * * (An English version is here.) 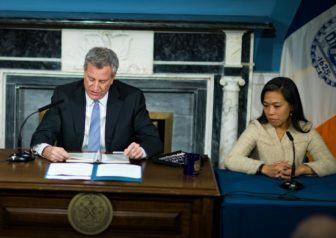 * * * La Ciudad de Nueva York proyecta rezonificar 92 cuadras del suroeste de El Bronx – la mayoría de ellas en la Avenida Jerome entre las calles 167 y 184 – como parte de un plan que agregaría 4,000 nuevos apartamentos a ese vecindario.